I was too stingy with the black, and rushed before I discovered the 2-shift 15 hour workday is better than one long 12-hour day. 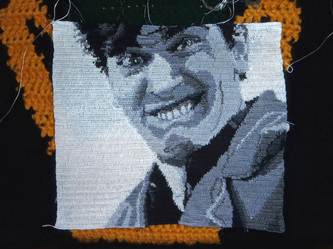 I began the stringwork on the night of June 10th, and after pushing myself just past my limit, I reached my goal: finished at 7:50AM Jun 18, 2012! 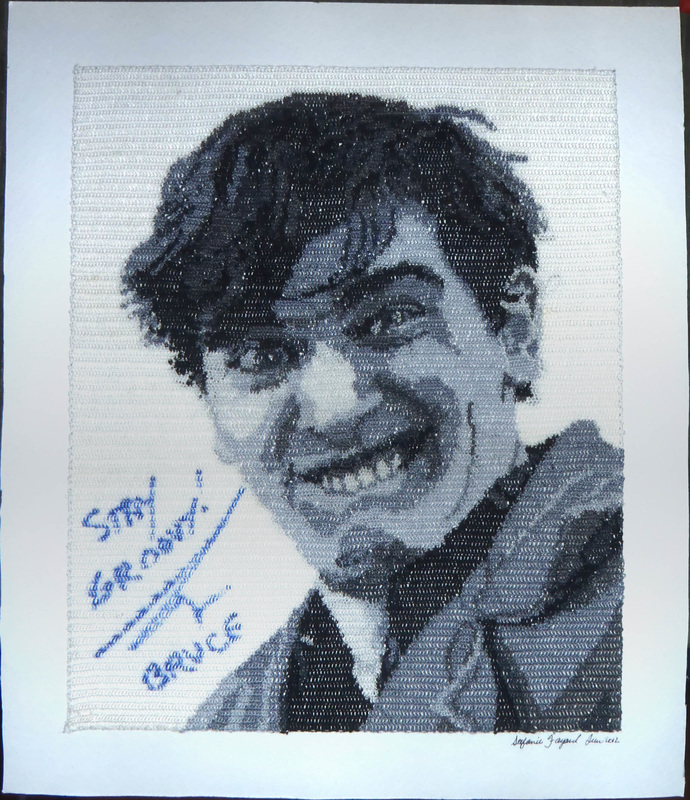 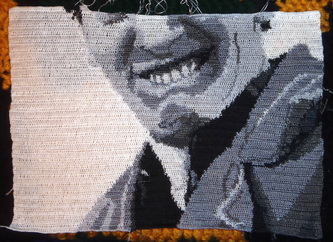 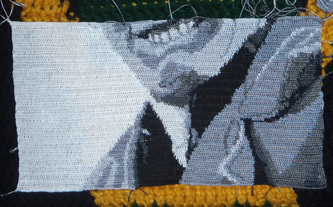 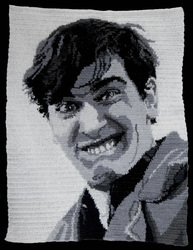 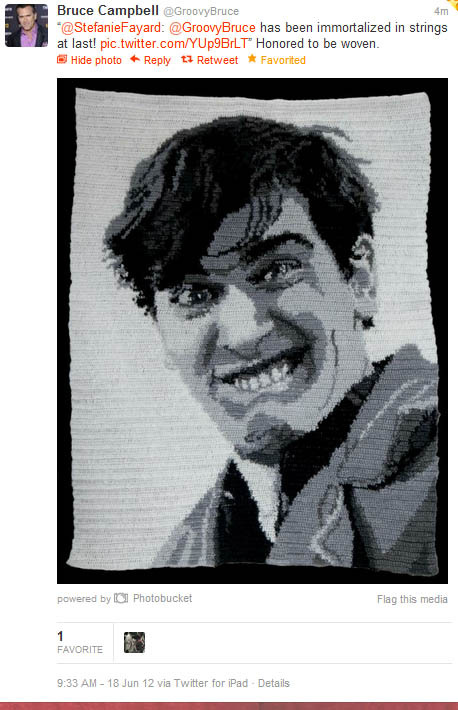 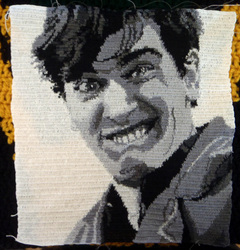 Bruce's is a medium-sized portrait at 140 stitches. 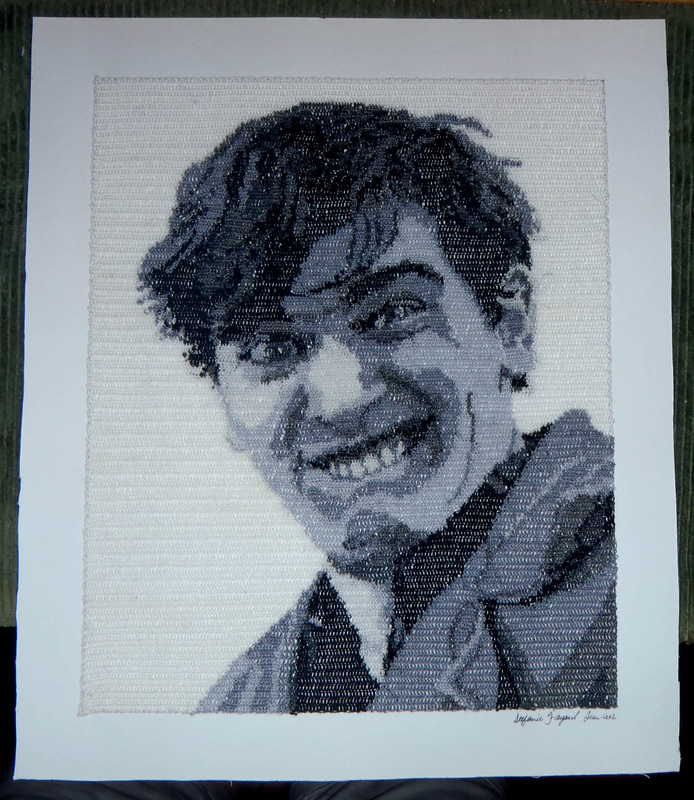 8" x 9.75"